Human Rights Activists News Agency (HRANA) – Since coming to the defense of their spiritual leader in what came to be known as the “Golestan Haftom” incident, the Gonabadi Dervish religious minority has faced unprecedented pressure from Iranian authorities. Around midnight on February 3, 2018, several hundred Gonabadi Dervishes gathered before the home of their spiritual leader Noor Ali Tabandeh, in a gesture of protection against heightened security monitoring of his activities (security forces had aggressively intervened in Dervish gatherings in the same spot less than two weeks earlier). Their February 3rd demonstration — on Golestan-e Haftom street in Tehran, hence the incident’s name — would fare no better and was soon violently disbanded by Iranian police and plainclothes forces of the Revolutionary Guard’s Basij faction. While Iranian judiciary authorities and law enforcement initially announced that they had detained about 300 citizens in connection to Golestan Haftom, HRANA was able to confirm the identities of 382 arrestees. Among them were 11 women who were transferred to Qarchak Prison in Varamin after their arrests: Nazila Nouri, Shima Entesari, Sima Entesari, Sedigheh Safabakht, Shokofeh Yadollahi, Sepideh Moradi, Elham Ahmadi, Maryam Afrasiabi, Avisha Jalaledin, Masoumeh Barakoohi, and Shahnaz Kian Asl. HRANA was able to obtain the verdicts of 202 of these detainees, as well as details on those who were brutalized by the Judiciary. 201 people were sentenced to prison terms, lashings, travel bans, exile sentences, and long-term bans on civic activity. Two more, Mohammad Raji and Mohammad Salas, were killed for their participation in Golestan Haftom. On the night of March 3rd, police had contacted Mohammad Raji’s family, asking them to bring his photo and identifying documents. The next morning, police at Shapoor Criminal Investigation Department Base 10 told the family that Raji was in a coma. A few hours later, police followed up by phone to say he had died. Upon their arrival at the police station, officers announced his cause of death: he had been beaten to death by interrogators. Mohammad Salas was accused of driving a bus that allegedly struck and killed three police officers on Pasdaran Street in Tehran. He exhausted all avenues of appealing his death sentence without success, and was executed in the morning of Monday, August 20, 2018 — though Salas’ children and his spouse Zaynab Taheri attest that he could not have been the driver of the bus, as he was already in custody three hours prior to the crash. Dervishes’ Rights Activists in Great Tehran Penitentiary penned an open letter to the prison’s director refusing to attend a trial that lacked transparency. At least five of the convicted Dervishes currently detained in Great Tehran Penitentiary are former administrators and collaborators of the Majzooban-e-noor Dervish news site: Mostafa Abdi, Mohammad Sharifi Moghaddam, Saleh Moradi, Reza Entesari, and Sina Entesari. Some Dervish prisoners who have been assaulted by authorities were denied medical care for their injuries and reported hostile and discriminatory treatment from authorities. 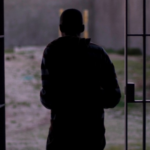 Prison regulations and conventions on prisoners’ rights stipulate that prisoners, as a safety precaution, be housed separately according to their crimes and beliefs. Authorities at Gharchak Prison and Great Tehran Penitentiary, however, house Dervishes [political prisoners] in a general ward alongside common criminals. 1. Mohammad Yavar Salas, executed. 2. Mostafa Abdi, Majzooban-e-Noor administrator, sentenced to 26 years and 3 months in prison, 148 lashings, a 2-year ban on both civic activities and travel, and a 2-year exile sentence to Sistan & Sistan & Baluchestan Province. 3. Mehdi Mahdavifar and 4. Mostafa Mirmohammadi, each sentenced to 13 years and 6 months in prison, 144 lashings, a 2-year travel ban, and a 2-year exile sentence to Sistan & Baluchestan Province. Mahdavifar was also sentenced to a 2-year ban on civic activities. 5. Reza Rezai, sentenced to 13 years in prison, 148 lashings, and a 2-year exile sentence to Mirjaveh (Sistan & Baluchestan Province). 6. Mohammad Sharifi Moghaddam, Majzooban-e-Noor journalist, sentenced to 12 years in prison, 74 lashings, a 2-year travel ban, a 2-year exile to Borazjan (Bushehr Province), and a 2-year ban on civic activities. 7. Vahid Khamooshi, sentenced to 12 years in prison and a 2-year exile to Rayen (Kerman Province). 8. Bashir Riahi Ghaletaki, sentenced to 10 years and 6 months in prison, 148 lashings, a 2-year exile to Khash (Sistan & Baluchestan Province) and a 2-year ban on civic activities. 9. Faramarz Mangari, sentenced to 10 years in prison, 74 lashings, and a 2-year exile sentence to Roudbar (Kerman Province). 10. Reza Yavari, sentenced to 9 years in prison, 74 lashings, and a 2-year exile to Taybad (Razavi Khorasan Province). 11. Manouchehr Kokabi 12. Mansoor Farhoodmand 13. Moslem Norouzi 14. Morteza Shokri 15. Mahmood Barakoohi 16. Mohammad Karimaei 17. Mohammad Reza Darvishi 18. Alireza Lak 19. Alireza Azadravesh, 20. Ali Karimi 21. Ali Ghamari 22. Siamak Sohrabi 23. Saeed Soltanpour 24. Heydar Teymouri 25. Habib Ghanbari 26. Babak Moradi 27. Iraj Madhi 28. Ehsan Malekmohammadi 29. Ehsan Saffari 30. Rasoul Hoveyda 31. Mehrdad Rezai 32. Ramin Eshkoh 33. Mostafa Rahsepar 34. Masoud Alimadadi 35. Mohammad Reza Zehtab 36. Mohammad Reza Abolfathi 37. Mohammad Asad Zamani 38. Majid Rashidi 39. Majid AmirAhmadi 40. Hamid Reza AmirAhmadi 41. Jahangir Haghani 42. Armin Abolfathi 43. Arman Abolfathi 44. Amir Seyedi 45. Amir Salimi Chegini 46. Afshin Salimi Chegini 47. Abolfazl Babahosseini 48. Ebrahim Allahbakhshi Hafshejani 49. Nemat Kazemi 50. Saeed Khamooshi. 51. Morteza Bidchi Kangarloo 52. Mahmoud Baghyar 53. Mohammad Samadyar (Kangarloo was also sentenced to a 2-year exile in Sarbisheh, South Khorasan Province). 62. Majid Moradi, sentenced to 7 years in prison and 75 lashings. 63. Ali Bahadori, sentenced to 7 years in prison, a 2-year ban on civic activities, and a 2-year exile to Mirjaveh. 64. Abdollah Esmaeili, sentenced to 7 years in prison and a 2-year ban on civic activities. 65. Samad Dadras and 66. Saleh Kamali Dehkordi were sentenced to 7 years in prison and a 2-year travel ban. 67. Khashayar Dehghan, a Ph.D. candidate in Electronics at Tehran University, sentenced to 7 years in prison, 74 lashings, and a 2-year in exile to Borazjan. 68. Saeed Karimaei and 69. Sekhavat Salimi, each sentenced to 7 years in prison, 74 lashings, a 2-year ban on civic activities, and a 2-year in exile, Karimaei to Nehbandan (South Khorasan Province) and Salimi to Nikshahr (Sistan & Baluchestan Province). The above were all sentenced to 7 years in prison and a 2-year exile sentence, Doorandish to Zabol (Sistan & Baluchestan Province), Sigarchi, Barakouhi, Beiranvand, and Pour Rostami to Sistan & Baluchestan Province, Moghimi to Zahak village (Sistan & Baluchestan Province) and Iranikhah and Abolhassani to Borazjan. 78. Rostam Sagvand 79. Behrouz Sadeghi Oliyaei and 80. Ardeshir Ashayeri, each sentenced to 7 years in prison, 74 lashings, a 2-year ban on civic activities, and a 2-year exile, Sagvand to Nehbandan and Sadeghi, Oliyaei, and Ashayeri to Saravan (Sistan & Baluchestan Province). 81. Akbar Beiranvand, sentenced to 7 years in prison, a 2-year ban on civic activities and a 2-year in exile in Zahak. 82. Abolfazl Sahraei, sentenced to 7 years in prison, 74 lashings, a 2-year ban on civic activities, and a 2-year exile to Sarbisheh (South Khorasan Province). 83. Saleh Moradi, a Majzooban-e-Noor administrator, sentenced to 7 years in prison, 74 lashings, and a 2-year in exile to Borazjan. 84. Reza Entesari and 85. Sina Entesari, Majzooban-e-Noor administrator, each sentenced to 7 years in prison, 74 lashings, a 2-year exile and 2-year ban on both civic activities and travel. 113. Maryam Farsyabi and 114. Mehdi Eskandari, each sentenced to 6 years in prison and a 2-year travel ban. 115. Farhang Bouzari Kharrazi and 116. Amir Nouri, each sentenced to 6 years in prison, 74 lashings, and a 2-year travel ban. 117. Hossein Soleymani and 118. Asghar Ebrahimi Magham, each sentenced to 6 years in prison and a 2-year ban on civic activities. 119. Amin Hosseini and 120. Akbar Dadashi, each sentenced to 6 years in prison and 74 lashings. 121. Abolfazl Avazeh, sentenced to 6 years in prison, 74 lashings, and a 2-year exile to Mirjaveh. 127. Elham Ahmadi and 128. 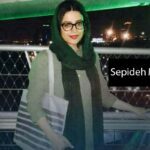 Sepideh Moradi, each sentenced to 5 years in prison and a 2-year ban on both civic activities and travel. 129. Mehdi Izadpanah and 130. Ali Barian, each sentenced to 5 years in prison and a 2-year exile to Sirjan (Kerman Province). 131. Hossein Arang 132. Shokoufeh Yadollahi 133. Seddigheh Safabakht, each sentenced to 5 years in prison and a 2-year ban on civic activities. 134. Nazila Nouri 135. Shima Entesari 136. Sima Entesari 137. Avisha Jalaleddin 138. Ali Mashallah Vafaei Fard 139. Shahab Bakhshian 140. Mohammad Dalvand 141. Hossein Arab Ameli 142. Asghar Samadyar. 147. Mehrdad Eini, sentenced to 2 years in prison and a 2-year ban on both civic activities and travel. 148. Hamid Ashayeri, sentenced to 2 years in prison and a 2-year exile to Sistan & Baluchestan Province. 149. 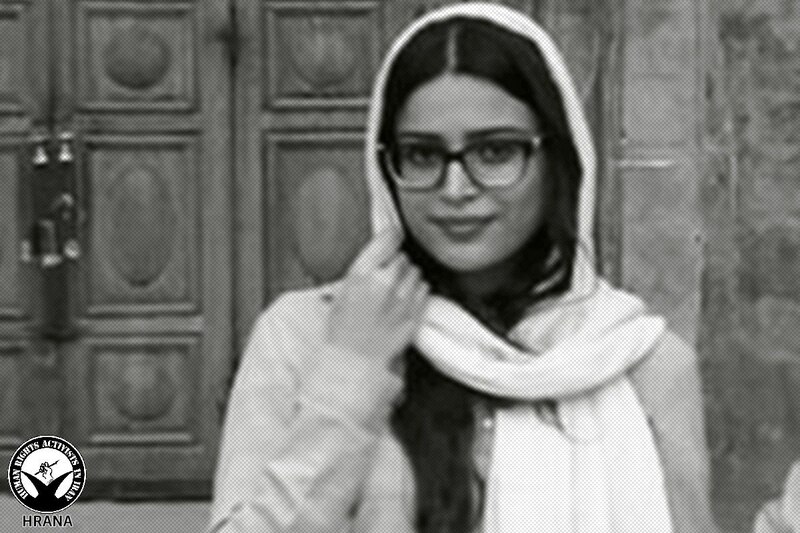 Esmaeil Norouzi 150. Ashkan Kazemi 151.Elyas Mohammadi 152. Omid Mahdavi 153. Seyed Jalaloddin Ghaznavi Bidgoli 154. Pouria Nouri 155. Hossein Jashn 156. Hossein Haj Mohammadi 157. Sajjad Baradaran 158. Abbas Beraghmadi 159. Ali Afshar Asli 160. Ali Bolboli 161. Ali Rashno 162. Ali Asghar Salari 163. Ali Reza Siasi 164. Kamaran Bahadori 165. Malek Rezaei 166. Mohammad Amir Ahmadi 167. Mohammad Alamdoost 168. Mohammad Ghasem Allahyari 169. Mousa Fazlipour. 170. Kasra Nouri, an M.S. 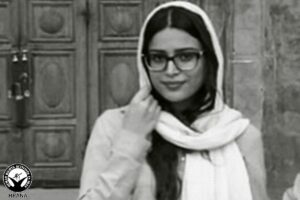 student in Human Rights at Tehran University, sentenced to 1 year in prison, 74 lashings, a 2-year ban on both civic activities and travel, and a 2-year exile to Salas Babajani (Kermanshah Province). 171. Ali Ghannadzadeh, sentenced to 1 year and 4 months in prison. 172. Yaser Soleymani 173. Ebrahim Rezaei 174. Alborz Rostami 175. Hossein Kalhori 176. Ali Mohammad Shahi 177. Kia Nejad Hosseini 178. Majid Shaegh 179. Mohsen Parvin 180. Mohammad Nezam Eslami 181. Moslem Rezaei 182. Mehdi Imanzadeh 183. Mehdi Sadat 184. Ahmad Nabaei 185. Hashem Avazeh. 201. Mostafa Beiranvand, sentenced to 4 months in prison. 202. Mohammad Ali Raji, sentenced to 91 days in prison. Human Rights Activists News Agency (HRANA)- Judge Moghiseh has extended the temporary detention period of lawyer and imprisoned Dervish activist Mostafa Daneshjoo, denying his request for bail despite the severe progression of his cardiac and lung disease. Symptoms of Daneshjoo’s asthma were exacerbated by his stay in Evin Prison’s Ward 250 between 2011 and 2015, on charges of “membership in the Dervish cult,” “acting against national security,” “propaganda against the regime,” and “disturbing the public mind.” Despite orders from the assistant prosecutor that Daneshjoo is sent to a healthcare facility, Evin Prison authorities have barred his transfer. Seven armed agents arrested Daneshjoo in his mother’s home on July 7th, taking him to solitary confinement in Evin Prison’s Ward 209 — which is under Intelligence Ministry management — where he stayed for 45 days. He was then sent to Ward 4, typically designated for convicts of financial crimes. 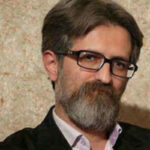 Daneshjoo was arrested pursuant to a case file against him in 2017 in Tehran’s Security Investigation Court, in connection to a violent clash that took place February 2018 near the Dervish spiritual leader’s residence on Golestan Avenue in the capital city. Per a letter from the security office at Azad University, Daneshjoo’s alma mater, he has been barred from continuing his studies. Citing his defense of the Gonabadi Dervish religious minority, security authorities have revoked his permit to practice law. In a note dated October 2nd, attorney Ali Sharifzadeh announced that he had been retained as Daneshjoo’s lawyer in Branch 28 of Revolutionary Court. Human Rights Activists News Agency (HRANA) When 324 members of the Dervish Muslim minority  were arrested February 3, 2018, Sepideh Moradi was among them. According to Human Rights Watch, a sense of injustice over intensified government surveillance of their spiritual leader prompted Moradi and her comrades to organize a protest, which flagged them as threats in the eyes of authorities. Salavati leaned on section 23 of the Islamic Penal Code to stiffen Moradi’s sentence with two-year bans on travel, membership in political groups and parties, and media or cyber activity. She had already been barred from pursuing her master’s degree in Computer Science on a prior charge. Moradi and her fellow women Dervishes reportedly endured mistreatment and torture over the course of their interrogation and detention. At one point Moradi went on hunger strike to protest a violent raid conducted June 13th by the Special Guard Force of the prison. HRANA previously published the identities of these attackers. She received medical care from an outside facility on July 25th after weeks of follow-ups; as of the date of this report, no further information was available on her health condition. There are various divisions among Dervishes in Iran; those featured in this article are Nematollahi Gonabadis who consider themselves followers of Twelver Shia Islam, the official state religion in Iran. According to Human Rights Watch, Noor Ali Tabandeh, spiritual leader of the Nematollahi Gonabadi Dervish faith, published a video on March 8th stating that he is not allowed to leave his residence in Tehran.